As part of EPA's continuing efforts to implement the Frank R. Lautenberg Chemical Safety for the 21st Century Act, which amended the Toxic Substance Control Act (TSCA) enacted on June 22, 2016, the EPA has issued a proposed mercury reporting rule to implement TSCA section 8(b)(10)(D). The TSCA Amendments require EPA to issue a final mercury reporting rule no later than two years after the enactment of the TSCA amendments (by June 22, 2018) to establish reporting deadline(s) and information requirements for the purpose of assisting EPA's statutorily-mandated periodic update and publication of the inventory of mercury supply, use, and trade in the United States. As required under TSCA, the reporting requirements would apply to any person who manufactures mercury or mercury-added products or otherwise intentionally uses mercury in a manufacturing process. EPA published the proposed rule on October 26, 2017 requiring those who manufacture, import, or otherwise distribute in commerce mercury or mercury-added products to report to EPA both quantitative and qualitative data related to those activities. The proposed rule has no reporting threshold, and as such, anyone conducting the regulated activity with any amount of mercury falls within the framework of the proposed rule. Persons engaging in certain activities with mercury will be required to provide the information necessary for the inventory. Generally, the proposed rule applies to those who manufacture, store, import, export, sell, or otherwise distribute in commerce mercury and mercury-added products. Those engaged in the above-mentioned activities must report on quantities of mercury used in industrial processes, whether that mercury was manufactured, imported, exported, or distributed. Some reduced burden for reporting is envisioned in the proposed rule for manufacturers or importers already subject to reporting programs such as TSCA’s Chemical Data Reporting (CDR) Rule. For example, those who manufacture (including import) or otherwise engage in the regulated activities with mercury at levels greater than or equal to 2,500-pounds for elemental mercury and 25,000-pounds for mercury compounds in a specific reporting period; the country of origin or destination, the North American Industrial Classification System (NAICS) codes for mercury distributed in commerce, and amount of mercury stored must be included in reports. The proposed rule establishes a reporting deadline of July 1, 2019, coinciding with the Toxic Release Inventory (TRI) program deadline, and every three years thereafter. As it stands, the proposed rule would require reporting data of the proceeding calendar year only (i.e., 2018). The proposed rule exempts certain activities from the rule’s reporting obligations. Persons “engaged in the generation, handling, or management of mercury-containing waste” are not required to report to the mercury inventory. The notice specifically calls out hazardous waste treatment facilities that convert recovered mercury from mercury-containing waste to mercury sulfide for export as exempt from reporting to the proposed rule. At the same time, the exemption does not apply to persons who distill and recover elemental mercury for its eventual sale. 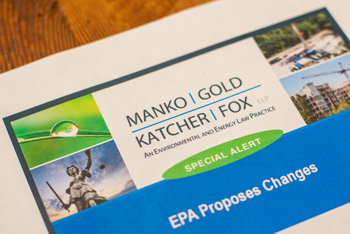 EPA estimates that approximately 750 entities will be impacted by the reporting requirements.